Have you heard of new Renuzit Pearl Scents? The long-lasting scented odor-neutralizing gel-type balls are encased in an attractive, decorative container with a slotted lid to release the fresh, gentle air freshener. They blend in well with home decor, so they don't have to be hidden in a secret corner. I placed my container of Renuzit Pearl Scents near my downstairs bathroom, which is also home to the dreaded, stinky litterbox. The Sparkling Rain scent has been much preferred over the cat box smells, which has been minimized as a result of the odor neutralizers in the formula. Definitely an improvement! 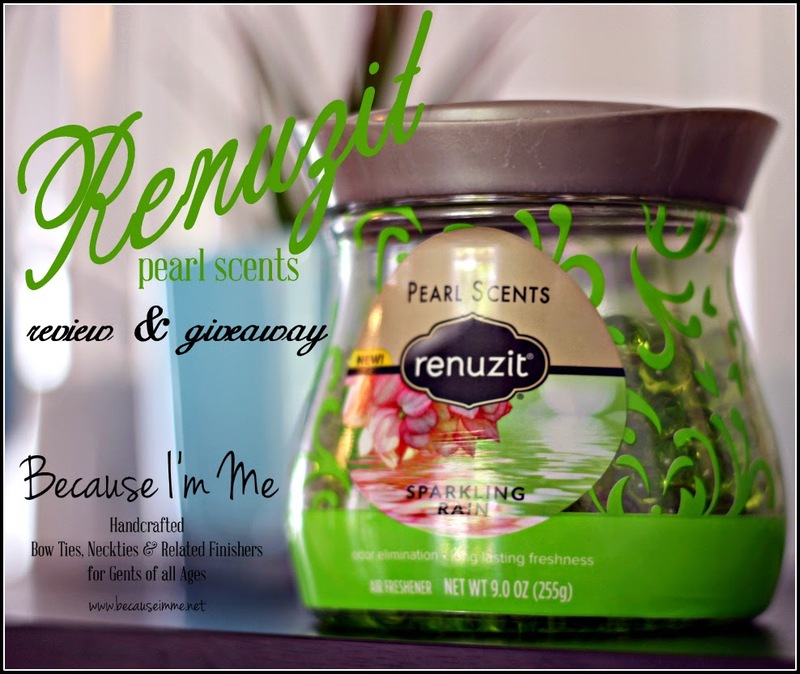 Would you like to win your own container of Renuzit Pearl Scents? Of course! Enter below for your chance to win 2, yes two, coupons for free Renuzit Pearl Scents. Good luck! We have a very musty smelling basement and these would be a great alternative to the plug-ins we use. I'd like to try Renuzit Pearl Scents for a fresher smelling home. I would like to freshen up my family room where we spend so much time.